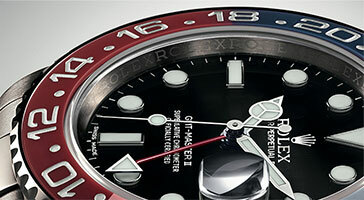 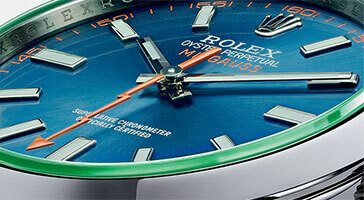 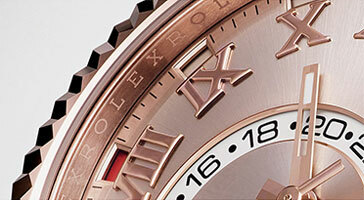 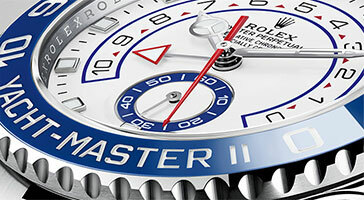 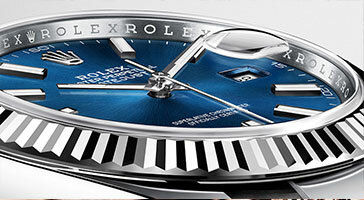 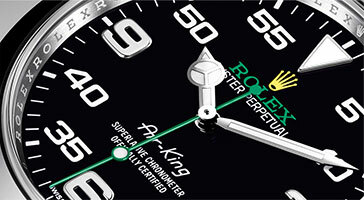 The Rolex Pearlmaster is Rolex's crowning jewellery watch. 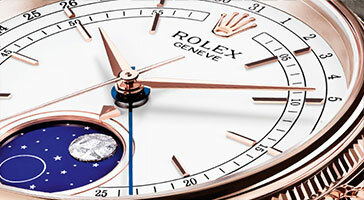 Featuring the softly curved lines of the Pearlmaster design, it is characterised by uniquely rich dials and exquisite gem settings of diamonds, sapphires or rubies and available only in 18 ct yellow, white or Everose gold made by Rolex in its own foundry. 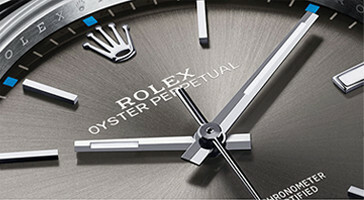 The Oyster Perpetual Pearlmaster has stood out since its launch in 1992, thanks to its elegant lines and precious materials. 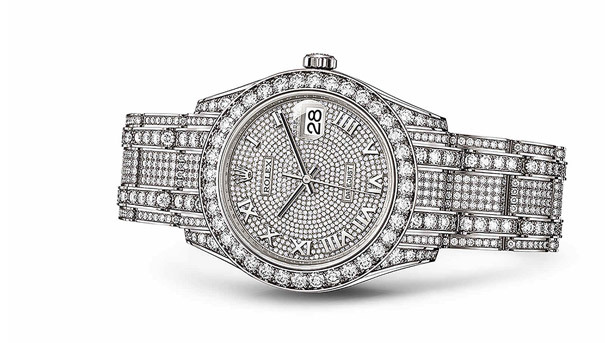 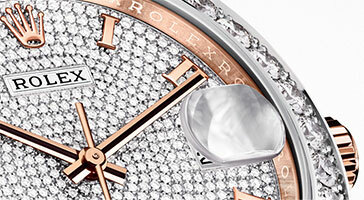 Set with diamonds, rubies or sapphires, it is a highly feminine interpretation of Rolex's emblematic Datejust. 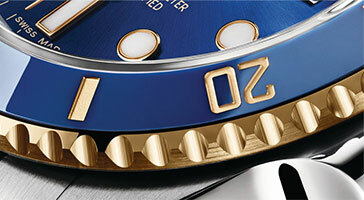 Dial creation is nothing less than a true "métier d'art". 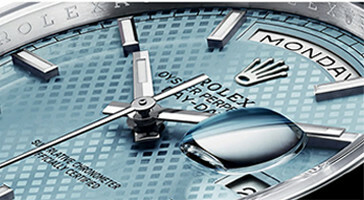 Very few watchmaking companies besides Rolex master all the aspects of dial creation in-house. 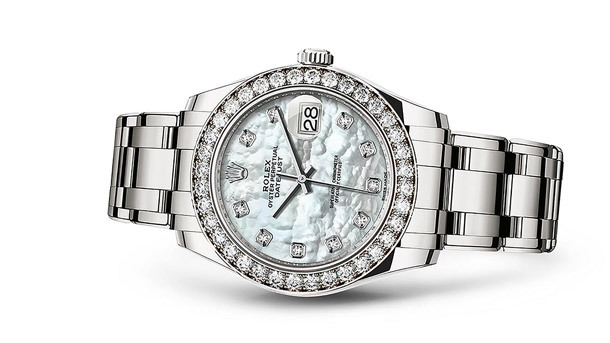 Mother-of-pearl, gold, meteorite and diamonds are just some of the fine materials used to ensure the beauty and individual character of each Rolex dial. 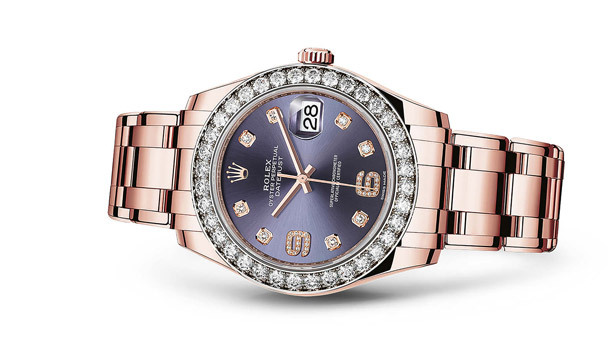 To be worthy of being set on a Rolex watch, sapphires, rubies and diamonds are selected according to rigorous criteria, then set in keeping with the finest traditions to ensure the most intense radiance. 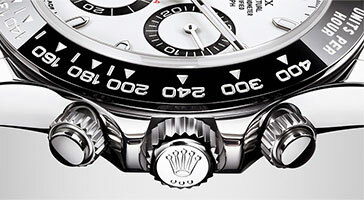 Rolex has its own gemmology laboratory, where experienced specialists check the quality of precious stones using state-of-the-art equipment. The gems are then entrusted to the in-house master gem-setters, experts in the art of exalting the stones' natural lustre. 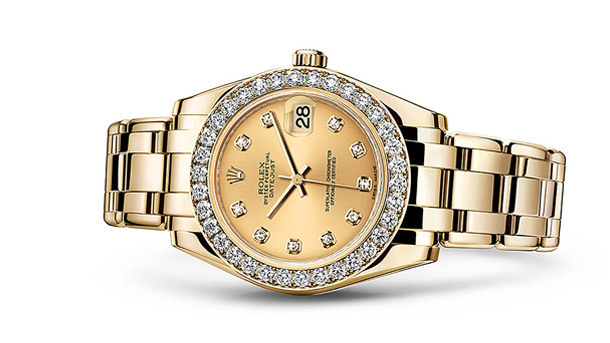 With delightfully rounded solid links in 18 ct gold, the Pearlmaster bracelet contributes to the watch's distinctive character and offers the wearer maximum comfort. 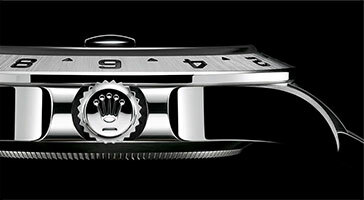 It is fitted with a concealed Crownclasp that is both elegant and functional. 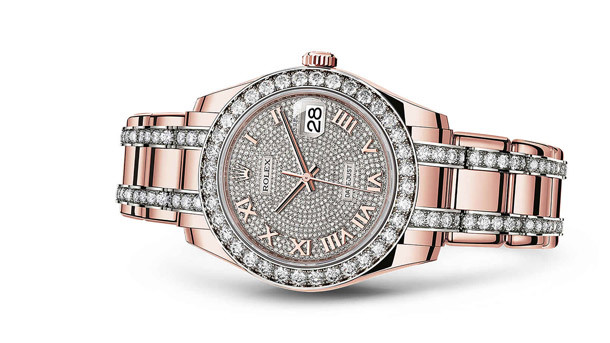 The Pearlmaster bracelet is also available with intermediate links set with diamonds. 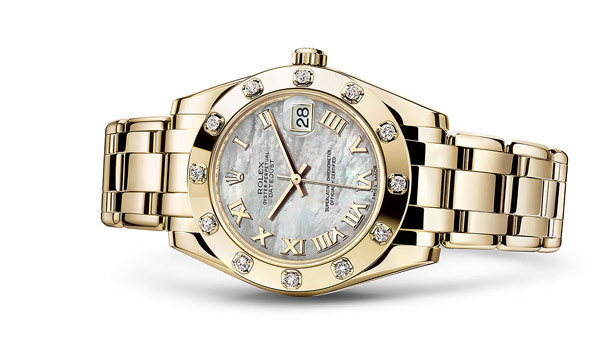 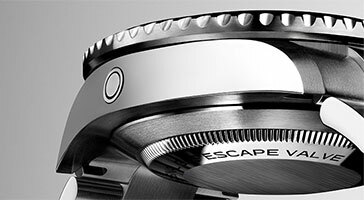 Echoing the bezel and dial, this superb gem-setting provides the finishing touch to an authentic watchmaking masterpiece.